ABAP stands for Advanced Business Application Programming. It is a programming language developed by SAP. These systems are used by companies to track all information related to the business integrating finance, sales, and materials data. ABAP/4 is the programming language used for the thousand tiny embedded programs called transactions that make up the application. The /4 means it is a fourth generation language. ABAP is code written in an interpretive language similar to COBOL in syntax. The language can be coded to look almost like COBOL. Its use allows SAP customers to extend the functionality of the base product. The programming language is very flexible, and can be used for specific business functions rather than the whole enterprise and can be modified for the specific needs of a company. Every SAP installation has its own specific configuration and set of functions. Our Course Bundle will provide you with the skills to recognize the basic features of ABAP, including the workbench and tools. You will also learn how to create a domain, a data element, and a table. The course will teach you to create a basic and an interactive report program using ABAP and to recognize how to preform basic object-oriented tasks such as creating and instantiating a class. 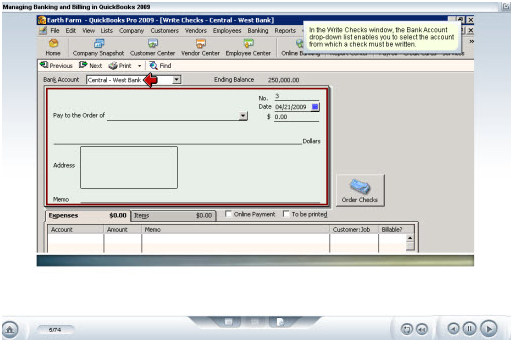 Additionally, you will learn to create a dialog program and format and print a SAP form. Which Workbench tool to use in a given scenario. Recognize the characteristics of the data dictionary objects. Recognize the features of and the functions of the tools and data dictionary objects. Recognize the components of a table definition. Create a domain and a data element in a given scenario. Recognize how to create a table in a given scenario. Create domains and data elements and use them to create Data Dictionary tables for a given scenario. Data objects in a given scenario. Recognize how to perform assignments and calculations in a given scenario. Recognize how to control The program flow in given scenarios. Create a simple program in a given scenario. Recognize how to read and modify data from the database using internal tables in a given scenario. Recognize how to control a report program using events and messages in a given scenario. Recognize how to create interactive report programs for a given scenario. Create an interactive report program for a given scenario. Recognize how to create and instantiate a class in ABAP. Recognize how to implement inheritance, encapsulation, and polymorphism using classes in given scenarios. Recognize how to work with classes in a given scenario. Recognize how to open, activate, and create a transaction code for a new dialog program in a given scenario. Rrecognize how to create screens and GUI status in a given scenario. Recognize how to define the flow logic of a screen in a given scenario. Create a dialog program for a given scenario. Recognize how to format SAPscript forms for printing in a given scenario. Recognize how to print forms using SAPscript in a given scenario. Recognize how to print Smart Forms in a given scenario. Format and print a form in a given scenario.